Anderson Trade is a nationwide supplier of domestic and commercial vacuum, carpet and hard floor cleaners and accessories. One of their most popular brands is Lindhaus, the benefits of which they have recently been sharing. Press Release (ePRNews.com) - DERBY, England - May 10, 2017 - Italian vacuum cleaner brand Lindhaus has been in production since the mid-1980s. 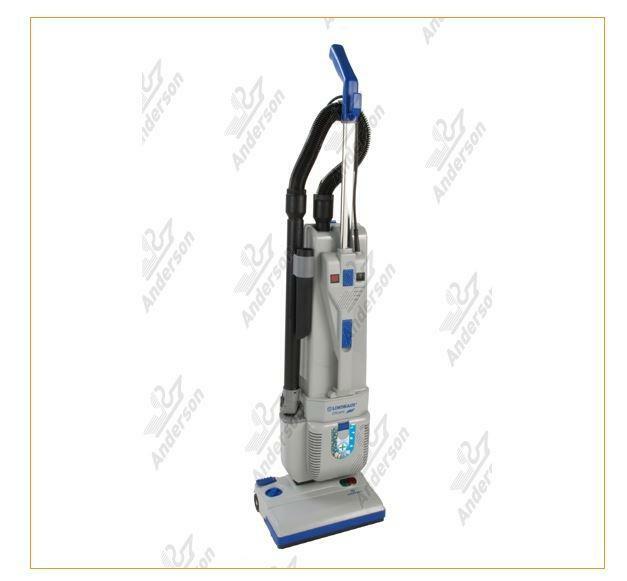 Its sole mission is to design and build the best multifunctional carpet cleaners for domestic and commercial use worldwide. Lindhaus has a famous following. None other than the United States White House, the Slovenian and Austrian Governments and the Dutch Royal Palace amongst many other prestigious organisations have selected Lindhaus as their brand of choice. Considered amongst the best for energy efficiency, performance, low noise levels, low power consumption, durability and efficiency of filtration, Lindhaus machines are designed for versatility and performance and will deliver over a long lifespan. Anderson Trade is an established provider of commercial and domestic cleaning machines and materials UK wide. The company reveals that Lindhaus is one of its bestselling commercial lines and believes that the reason behind this is the innovation in design. The sensitive electronic control built in to the Lindhaus design monitors brush and belt speed which means optimum performance every time. Plus, in order to prevent internal damage should a large object be picked up, the electronic control will automatically shut down. Anderson Trade mentions the CH Pro Commercial VM300, 380 and 450 twin motor upright vacuum cleaners which they say are tried and tested and rugged machines. Powered by Rotafil motors, the history of which dates back to the 1960s, these machines are exceptionally quiet in operation and the optional Hepa or carbon active filter further boost the efficiency of the machines. With two motors acting independently, one driving the brush roller at more than 5,000 rpm and the other dedicated to sucking up the debris, these machines really do offer exceptional power and efficiency, not to mention complete peace of mind. “With Lindhaus, you get a year’s worth of reassurance by way of a commercial warranty, together with a two year commercial warranty covering the suction and brush roll motors,” assures Anderson Trade. To find out more about the Lindhaus commercial vacuum cleaner range, visit https://www.anderson-trade.co.uk/lindhaus or call Anderson Trade on 01332 347 557.